National Security Agency whistleblower Edward Snowden took to Reddit Thursday, once again answering questions about surveillance reform, Kentucky Senator Rand Paul’s 10-hour filibuster, and whether or not he misses pizza in Russia. Snowden answered numerous questions during a Reddit AUA, or “Ask Us Anything,” which he participated in alongside American Civil Liberties Union Deputy Legal Director Jameel Jaffer. Snowden was asked how he felt seeing Republican Senator Rand Paul stage a filibuster for almost half a day in an attempt to block a clean renewal of the Patriot Act, which the NSA has used to justify collecting Americans’ telephone data in bulk. The House of Representatives has already passed legislation, called the USA Freedom Act, which would reform the way the NSA gains access to data. It would still allow intelligence officials to view metadata – the time that a call was made, to whom it was made, but not the actual content – but they would be required to submit keywords to phone companies in order to do so. Some have hailed this development as an important step towards reforming NSA surveillance, while others claim the keywords can be so broad that bulk collection would still happen. Even if it passes, however, the language generally concerns one portion of the Patriot Act, called Section 215. One Reddit user asked Snowden if the NSA may revert to surveillance regardless, without informing lawmakers or oversight bodies. 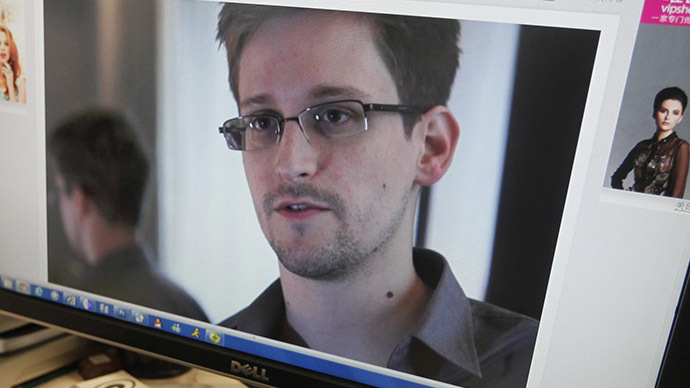 “That's no excuse for the public or Congress to turn a blind eye to unlawful or immoral operations – and the kind of mass surveillance happening under Section 215 of the Patriot Act right now is very much unlawful: the Courts ruled just two weeks ago that not only are these activities illegal, but they have been since the day the programs began,” Snowden replied. Asked what should be reformed after Section 215, if it is indeed altered by Congress, Snowden pointed to a couple of different items.